The American "filibuster", William Walker was born in Nashville, Tennessee, on the 8th of May 1824. After graduating from the university of Nashville in 1838, he studied law, was admitted to the bar, and subsequently spent a year in the study of medicine at Edinburgh and Heidelberg. He practised medicine for a few months in Philadelphia and then removed to New Orleans, where he engaged in journalism. In 1850 he migrated to California and engaged in newspaper work at San Francisco and later at Marysville, where he also practiced law. On the 15th of October 1853 he sailed from San Francisco with a filibustering force for the conquest of Mexican territory. He landed in Lower California, and on the 18th of January 1854 he proclaimed this and the neighboring State of Sonora an independent republic. Starvation and Mexican attacks led to the abandonment of this enterprise, and Walker resumed his journalistic work in California. On the 4th of May 1855, with fifty-six followers, Walker again sailed from San Francisco, this time for Nicaragua, where he had been invited by one of the belligerent factions to come to its aid. In October Walker seized a steamer on Lake Nicaragua belonging to the Accessory Transit Company, a corporation of Americans engaged in transporting freight and passengers across the isthmus, and was thus enabled to surprise and capture Granada, the capital and the stronghold of his opponents, and to make himself master of Nicaragua. Peace was then made; Patricio Rivas, who had been neutral, was made provisional president, and Walker secured the real power as commander of the troops. At this time two officials of the Transit Company determined to use Walker as their tool to get control of that corporation, then dominated by Cornelius Vanderbilt, and they advanced him funds and transported his recruits from the United States free of charge. In return for these favors, Walker seized the property of the company, on the pretext of a violation of its charter, and turned over its equipment to the men who had befriended him. On the 20th of May 1856 the new government was formally recognized at Washington by President Franklin Pierce, and on the 3rd of June the Democratic national convention expressed its sympathy with the efforts being made to "regenerate" Nicaragua. In June Walker was chosen president of Nicaragua, and on the 22nd of September, from alleged economic necessity, and also to gain the sympathy and support of the slave states in America, he repealed the laws prohibiting slavery. 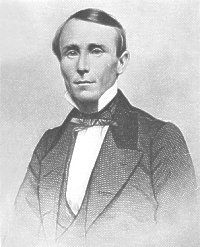 Walker managed to maintain himself against a coalition of Central American states, led by Costa Rica, which was aided and abetted by agents of Cornelius Vanderbilt, until the 1st of May 1857, when, to avoid capture by the natives, he surrendered to Commander Charles Henry Davis, of the United States Navy, and returned to the United States. In November 1857 he sailed from Mobile with another expedition, but soon after landing at Punta Arenas he was arrested by Commodore Hiram Paulding of the American Navy, and was compelled to return to the United States as a paroled prisoner. On his arrival he was released by order of President James Buchanan. After several unsuccessful attempts to return to Central America, Walker finally sailed from Mobile in August 1860 and landed in Honduras. Here he was taken prisoner by Captain Salmon, of the British navy, and was surrendered to the Honduran authorities, by whom he was tried and condemned to be shot. He was executed on the 12th of September 1860.